DES MOINES, IA -- One jackpot-winning ticket was sold in Friday night's Mega Millions drawing, a lottery official said. Virginia Lottery spokesman John Hagerty told The Associated Press the winning ticket was sold in Indiana. The consortium of lottery organizations that runs Mega Millions said a ticket matching all five white balls and the yellow ball would win a an estimated $540 million. The winning Mega Millions numbers are white balls 8-19-20-55-73 and yellow ball 5. An estimated $1 billion in tickets have been sold since the last jackpot-winning ticket was drawn in early March. This is the longest Mega Millions run without a winner. Tickets are sold in 43 states, the District of Columbia and the U.S. Virgin Islands. This is the third largest grand prize, since the inception of the Mega Millions game in 2002, as well as holding the distinction of being the seventh largest jackpot in U.S. history. The winning numbers in the Tuesday, July 5 drawing were: 29 - 46 - 53 - 64 - 73 and the Mega Ball number was 10. While no one won the grand prize, more than 356,000 prizes were won in Illinois, ranging from $1 to $25,000, in Tuesday's Mega Millions drawing. The jackpot has now rolled 34 times - a record for the Mega Millions game. The previous record was 22 rolls. The overall odds of winning the jackpot were 1:258,890,850. The jackpot grew for four months, having last been won on March 8 in Washington. The only other jackpot won this year was on January 8 in New York. The record Mega Millions jackpot is $656 million - three tickets shared that jackpot on March 30, 2012. Just behind that is the $648 million jackpot split by two winners on December 17, 2013. Those are the only two Mega Millions jackpots in history higher than Friday night's estimated prize. With slightly better odds than the Powerball game, it's rare that nearly four months passes without someone winning a Mega Millions jackpot. The odds of picking the correct numbers on five white balls and one yellow ball in the Mega Millions game are one in 259 million. 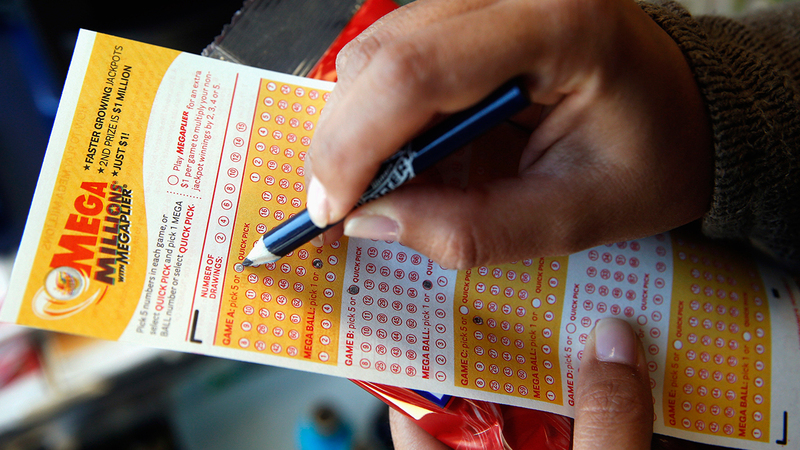 For Powerball, it's one in roughly 292 million. Revamps to the country's two big lottery games in recent years decreased the odds of picking all the numbers needed for the top prize, though officials point out it has increased the number of winners who score smaller prizes that range from $1 million to $5 million, depending on the game.